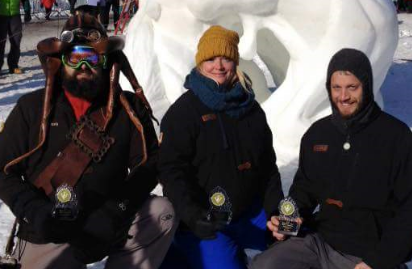 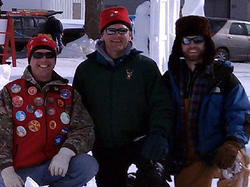 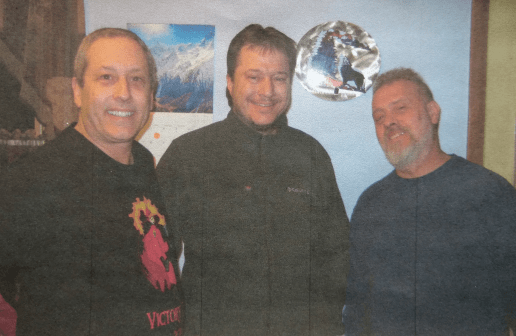 It was another year of challenging weather and snow conditions. 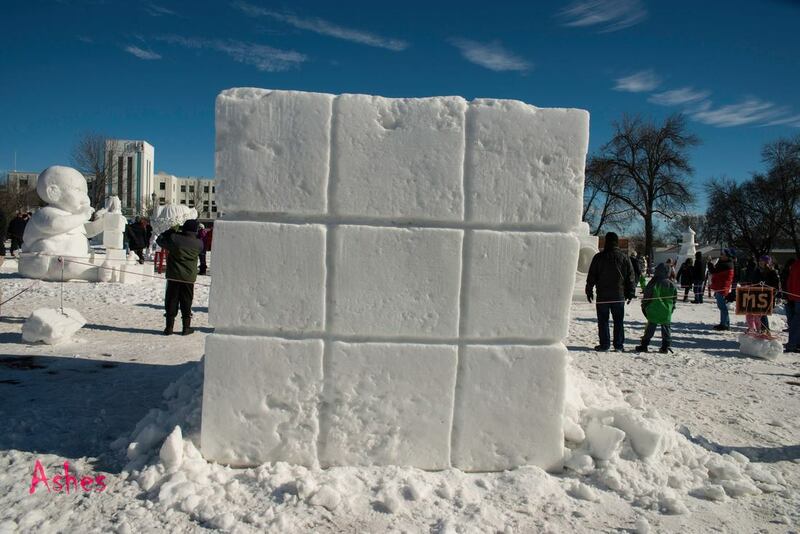 The snow blocks were built with heavy, wet snow on a drizzly, 40° day, which was followed by below-freezing temperatures that turned the outer block surfaces to ice while the interior remained soft and wet. 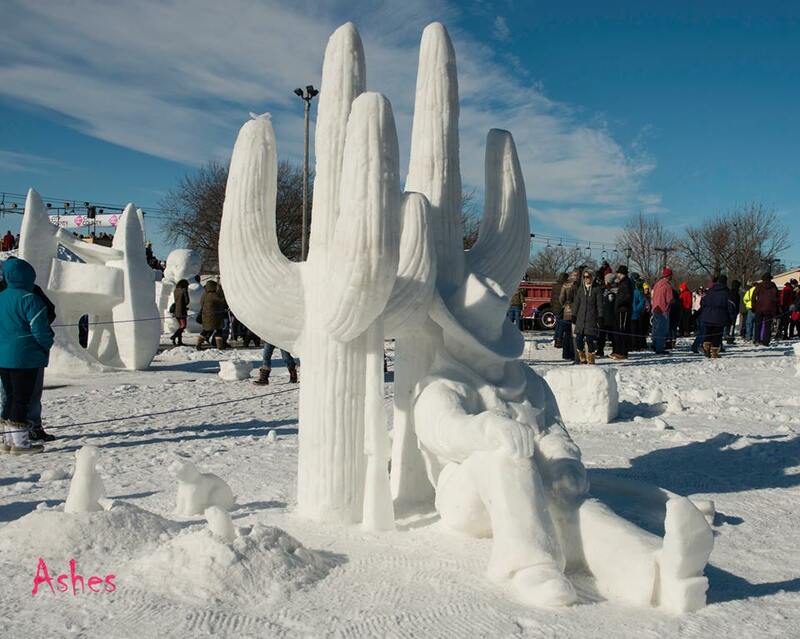 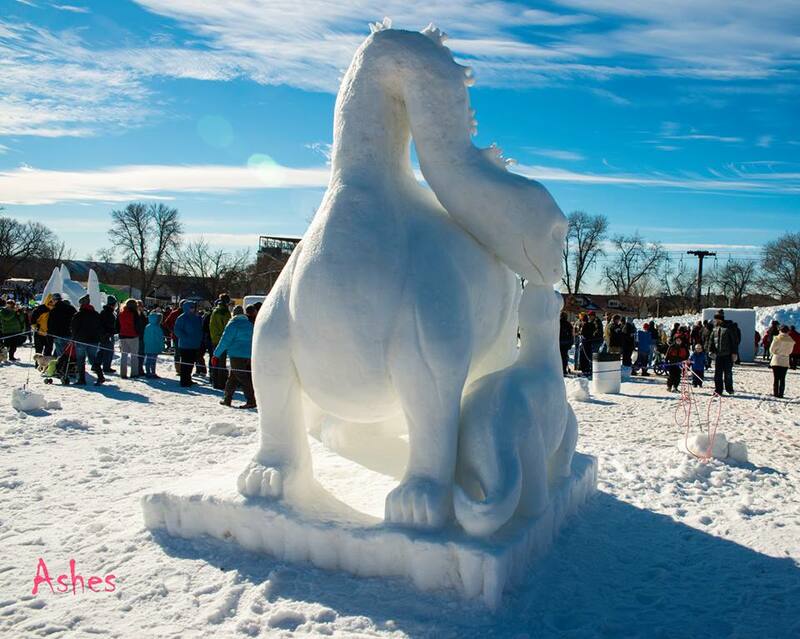 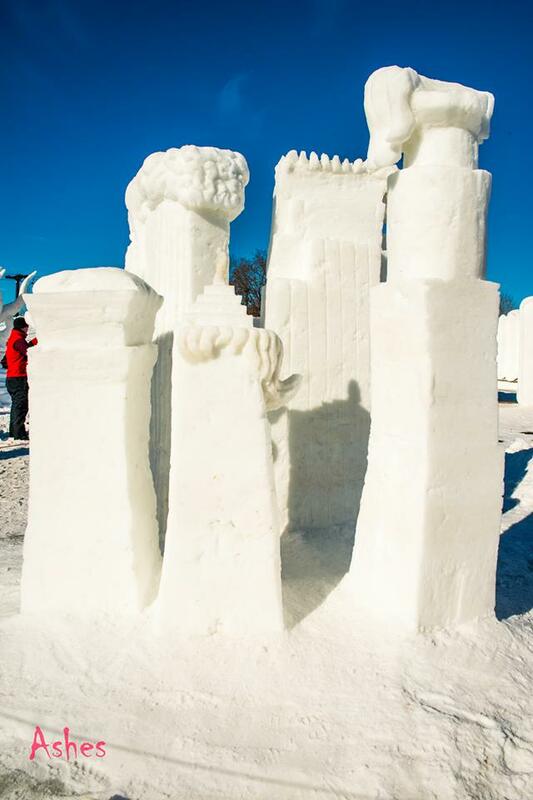 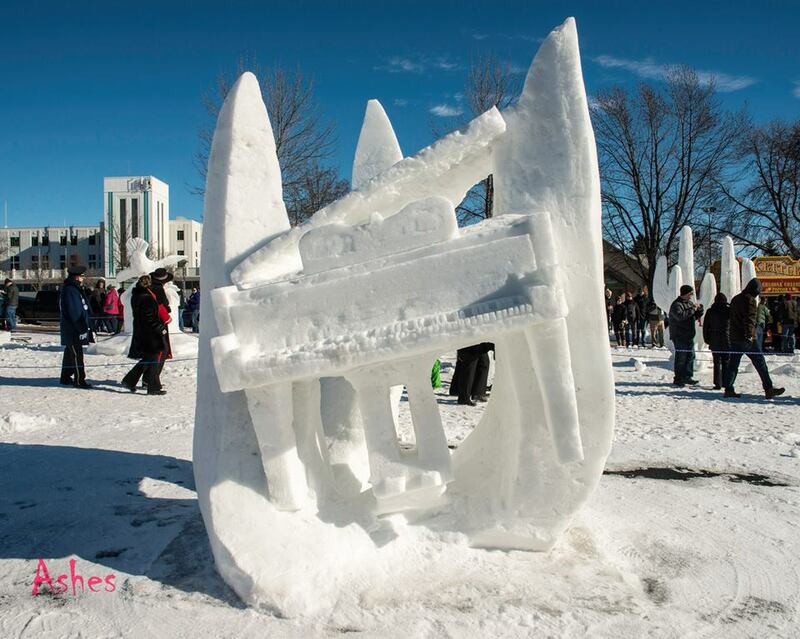 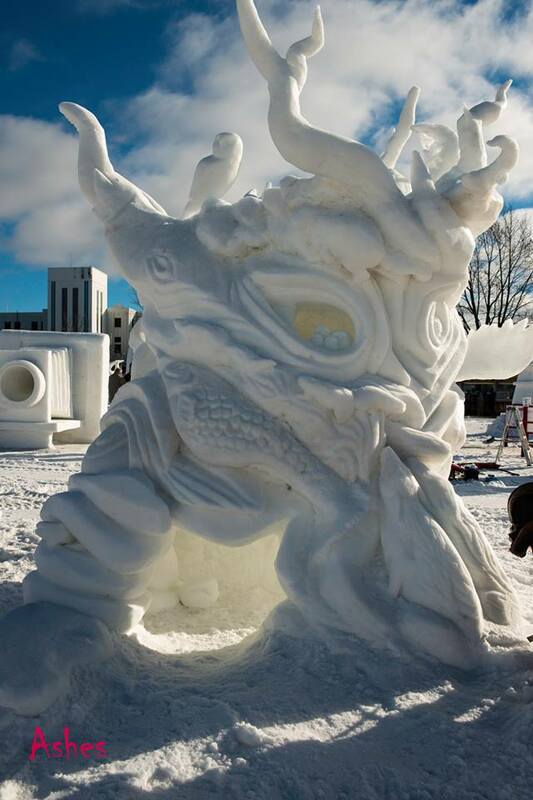 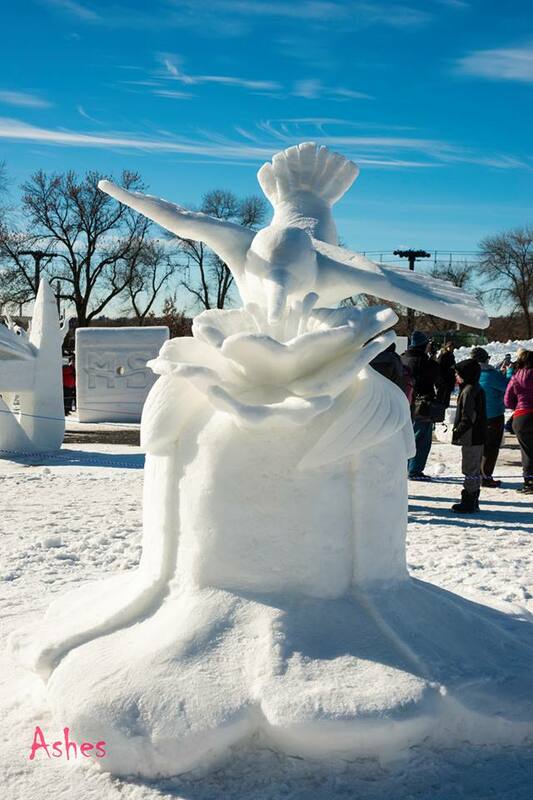 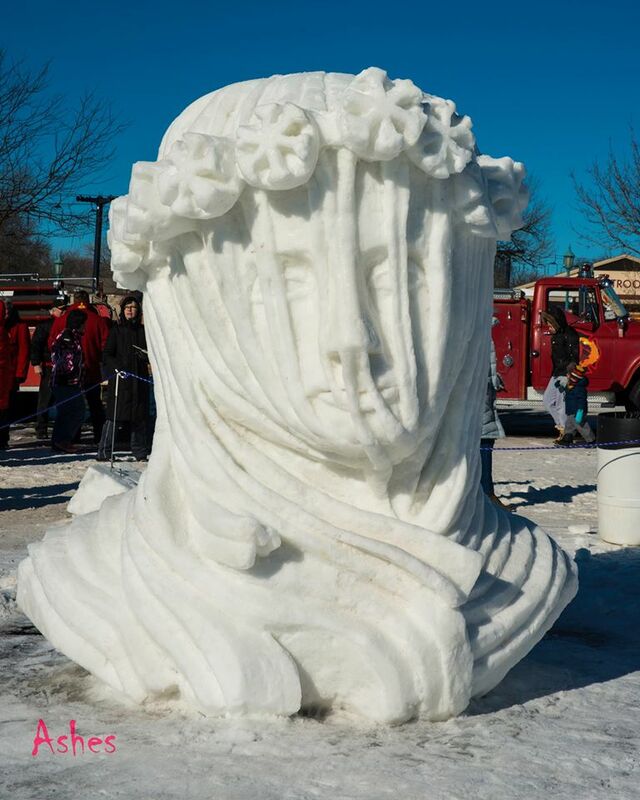 Sculptors had to contend with numerous ice and air pocket inclusions as well as pitting and uneven snow consistency. 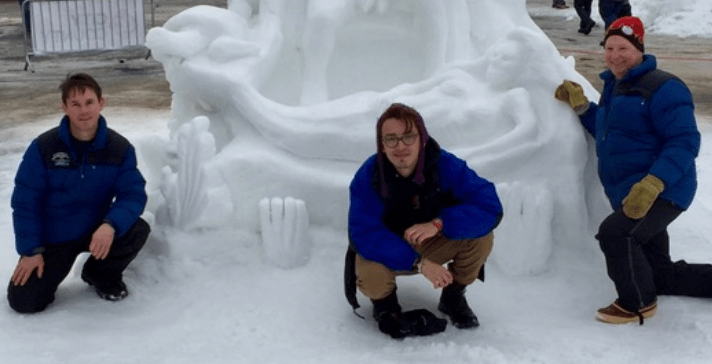 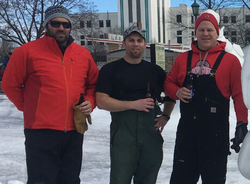 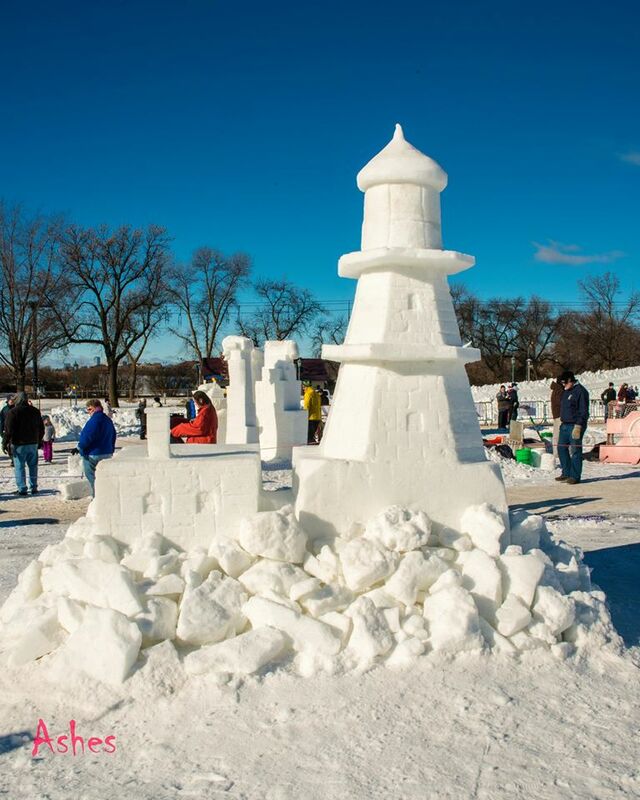 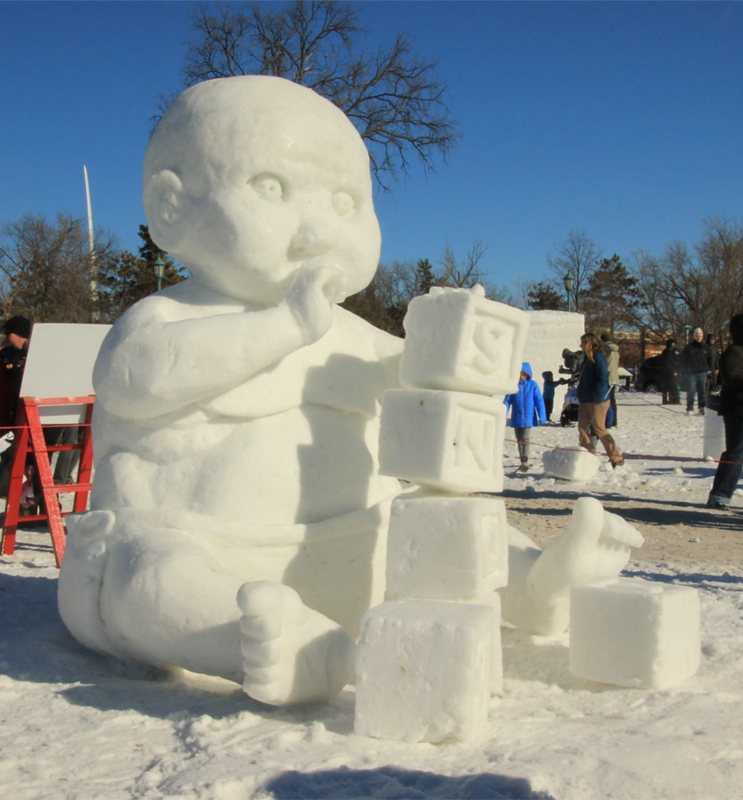 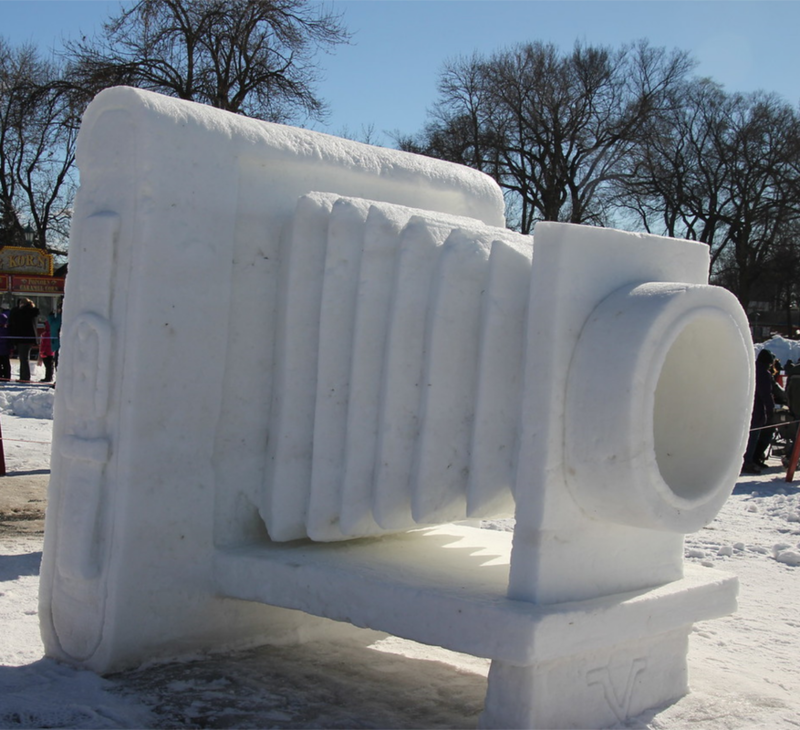 Fortunately, the weather was almost ideal during sculpting—cold enough to freeze up the soft, wet snow as it was exposed while warm enough that working conditions weren’t uncomfortable.